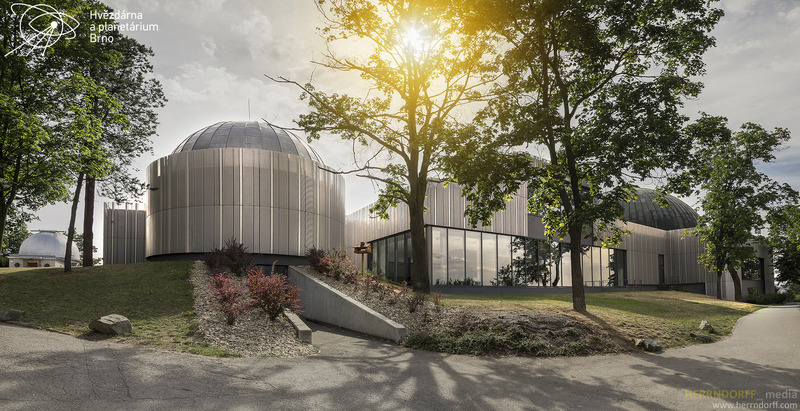 For the observatory of Brno we photographed the exterior. The newly established nature trail with many physical experiments we have portrayed with professional photo models. In optimal weather conditions, we have also made several panoramas of the modern architecture of the building complex. So the cover photo of this series has been assembled for example from 15 individual shots. The hyper-realistic effect is made by a deliberately changing postproduction.